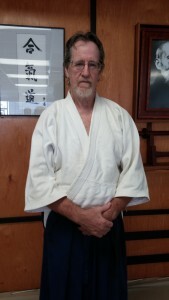 Foertsch Sensei holds the aikido rank of Godan (5th degree black belt) in the Aikido Schools of Ueshiba. He began his training in 1972 in Chicago at what was then the Illinois Aikido Club under Akira Tohei. When Tohei Sensei left in 1975 he continued training under the original students Lester Katsura, Yuki Hara, Red Sakomoto, and Joe Takahara, until the Dojo became affiliated with Saotome Shihan in the late 1970’s. 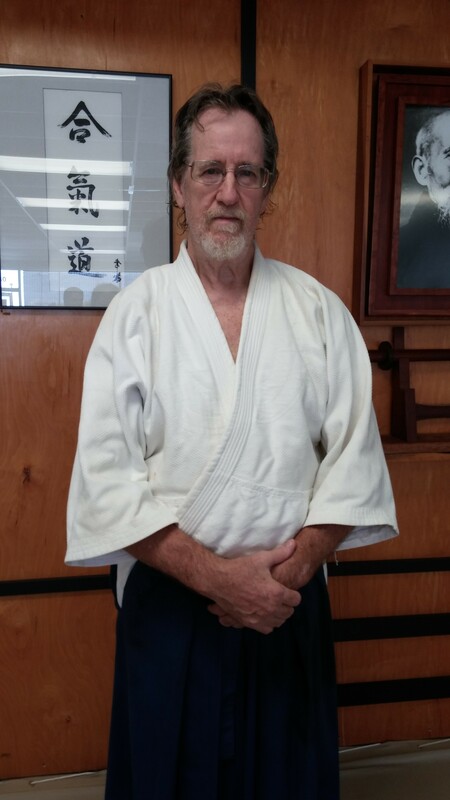 When Foertsch Sensei moved to St. Petersburg, Florida, in 1980, he trained with Ikeda Shihan in Sarasota until Ikeda Shihan moved to Boulder, Colorado. At that point Foertsch Sensei continued his training in Sarasota with Dwayne “Pee Wee” Jones and Steve McPeck. In 1982 Foertsch Sensei began training with Messores Shihan and has been affiliated with him since that time. Foertsch Sensei is also a professional musician and retired music teacher. He currently teaches the morning classes on Tuesdays and Thursdays.